Pegasus has been reappointed by Holland & Barrett for a consumer and corporate PR brief, following a competitive pitch. The health food brand, which is owned by nutritional supplements manufacturer NBTY Europe, revealed it was reviewing its agency roster earlier this year. Holland & Barrett International opened its 1,000th store across Europe at the end of last year and it has ambitions to take on the supermarkets in a number of categories, Pegasus revealed. 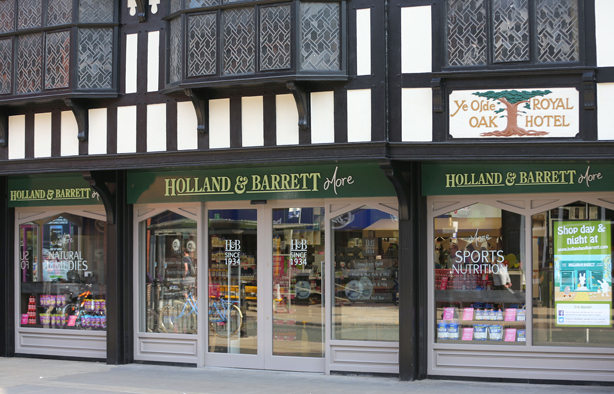 Pegasus will continue to run Holland & Barrett’s social media channels through its digital and social media team. The agency’s recent work for the brand includes overseeing the launch of its ‘Free-From’ range, which included celebrity and charity partnerships, and an experiential 'big banquet' stunt to promote a new flagship store in Chester. It is thought that Pegasus, which has held the account for more than ten years, was up against FleishmanHillard and 3 Monkeys during the competitive pitch. Lisa Bradley, managing director of Pegasus, said the reappointment was an indication of how health was becoming mainstream. She said: "Our mission has always been to inspire healthy decisions, because health touches all parts of your lifestyle from the foods you eat to the products you choose. We’re pleased to continue this journey with Holland & Barrett and help grow the brand even further." Holland & Barrett International said the agency’s health credentials and its track record with the media won it the account.